Learning more about how co-operative enterprises build a better world! The Neighboring Food Co-­op Association is a federation of more than 35 food co-ops across New England and New York State. Together, we are building our vision of a thriving regional economy, rooted in a healthy, just and sustainable food system. We invite you to join your local food co-ops (you can join more than one!). For a map of food co-ops in our region, please visit www.nfca.coop/members. Credit unions are co-operatively organized, non-profit financial institutions with a proud history of helping people help themselves and each other, building more resilient local communities. Members of credit unions pool their resources that are then used to provide loans and other financial services to one other. Many food co-ops have relationships with local credit unions. For example, members of River Valley Market in Northampton, MA, are eligible for membership in the UMASSFive College Credit Union, while Willimantic Food Co-op in Connecticut has a similar relationship with Northeast Family Credit Union. To join a credit union near you, visit the Credit Union National Association’s credit union finder. 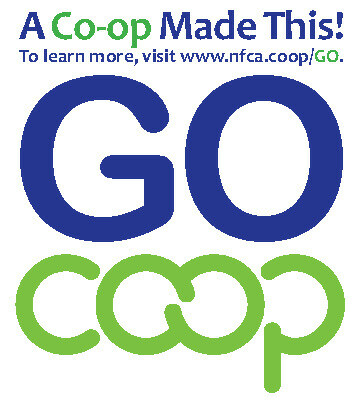 For a larger list of co-op products and services, visit www.nfca.coop/co-opproducts. The Cooperative Fund of New England (CFNE) is a community development financial institution (CDFI) that serves as a bridge between socially responsible investors and co-operatives, community oriented non-profits, and worker-owned businesses in New England. Over its 35 year history, CFNE has made more than 550 loans, creating or retaining scores of jobs and housing units. For more information, visit their website at www.coopfund.coop. Shared Capital Cooperative (SCC) is a co-operatively owned community development financial institution (CDFI) committed to fostering economic democracy by investing in co-operative enterprises. SCC currently serves more than 170 co-op members in 30 states, including natural food, consumer, producer, housing and worker-owned cooperatives, creating opportunities for co-ops and social investors to invest in the national co-operative movement. For more information, visit their website at www.sharedcapital.coop. Other opportunities include food co-ops that accept external investment such as NFCA member start-up Dorchester Community Food Co-op, or other co-operatives in our region such as Artisan Beverage Co-operative, Equal Exchange and Organic Valley. From Corporate Globalization to Global Co-operation (2016), by J. Tom Webb, argues that a massive shift to co-operative enterpsrise is a viable alternative to global capitalism and our best hope for the future. 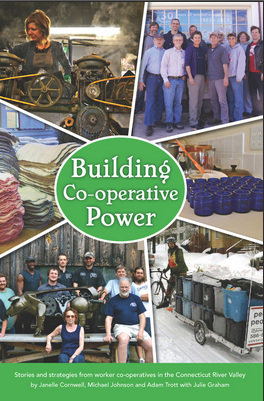 Building Co-operative Power (2014), by Janelle Cornwell, Michael Johnson and Adam Trott, with Julie Graham, explores worker co-ops in the Connecticut River Valley, the development of the Valley Alliance of Worker Co-ops, and its collaboration with the Neighboring Food Co-op Association and other partners to grow the co-operative economy. Collective Courage: A History of African American Cooperative Economic Thought & Practice (2014), by Jessica Gordon Nembhard, is a pathbreaking book on the important role of co-operative economics in African American history. The Cooperative Solution (2012), by E.G. Nadeau, is a short, readable book on how co-ops offer a solution to our current economic, social and environmental crises. EcoMind: Changing the Way We Think, to Create the World We Want, by Frances Moore Lappé, challenges the way we see the world and includes co-ops as a solution. Happiness, Democracy and the Cooperative Movement: The Radical Utilitarianism of William Thompson (2014), by Mark Kaswan, explores conceptions of happiness before moving to theories of utility, then to democratic theory, and finally to practice in the first detailed account of how Thompson’s ideas laid the foundations for the cooperative movement, which is now the world’s largest democratic social movement. Humanizing the Economy: Co-operatives in the Age of Capital (2010), by John Restakis, is an excellent overview of the history and relevance of the co-operative movement to contemporary challenges. Weavers of Dreams: Founders of the Modern Co-operative Movement (2012, 2nd Ed), by David J. Thompson, presents the story of the Rochdale Society of Equitable Pioneers who in 1844 established the basic economic principles that continue to guide the modern co-operative movement. Saint Mary’s University’s Co-operative Management Education program offers rigorous and dynamic online degree offers programs for co-operative management professionals. Choose the 3-year Master of Management, Co-operatives and Credit Unions, the Graduate Diploma in Co-operative Management (20 months) or the Bilingual Certificate in Co-operative Management (10 months). The University of Massachusetts, Amherst, offers a number of courses on co-ops as well as a Certificate in Applied Economic Research in Co-operative Enterprise. The NFCA is a member of the UMASS Co-operative Enterprise Collaborative (UMACEC), which has helped to develop these programs in collaboration with the Economics Department. Visit the NFCA’s Co-op Calendar for upcoming conferences, trainings, and other co-op events.